lemonroom.pl > Fototapety na ścianę>Kolekcje fototapet>Fototapety Magiczny las>Magic color autumn forest road. 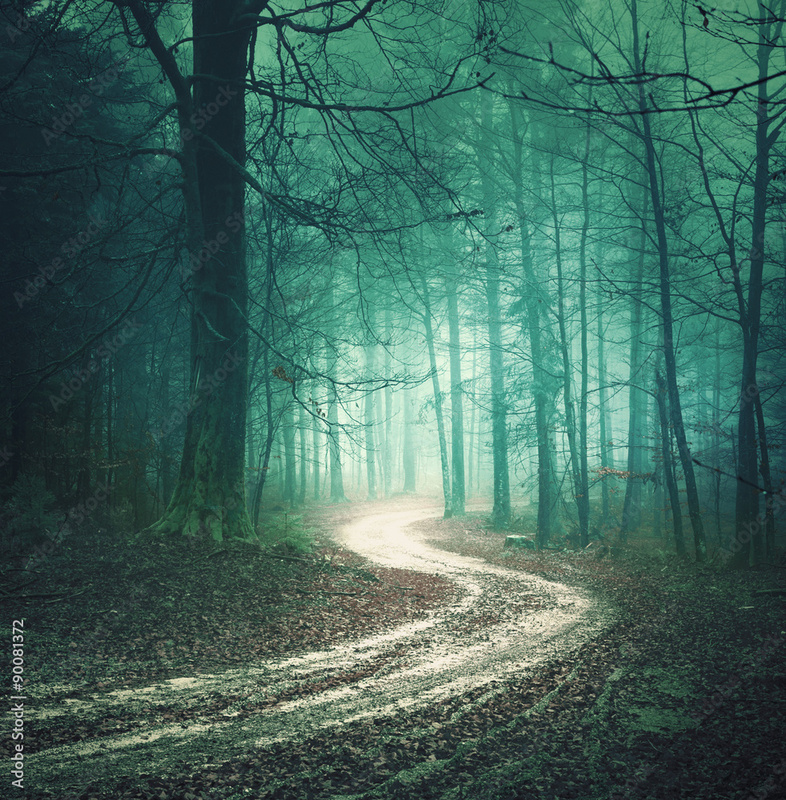 Dreamy bllue green colored foggy countryside forest tree with winding road background. Fantasy colored woodland. Color filter effect used.